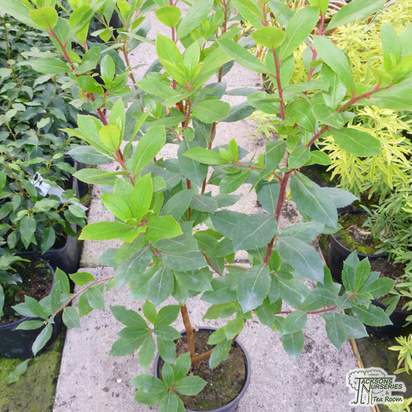 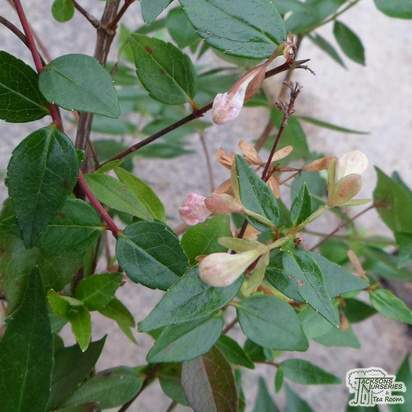 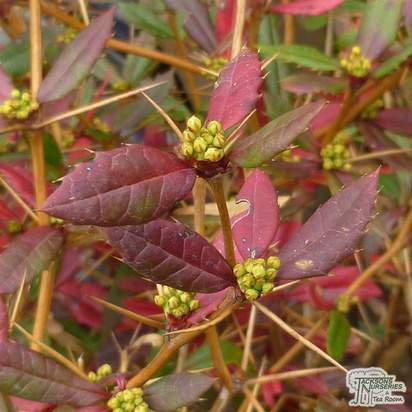 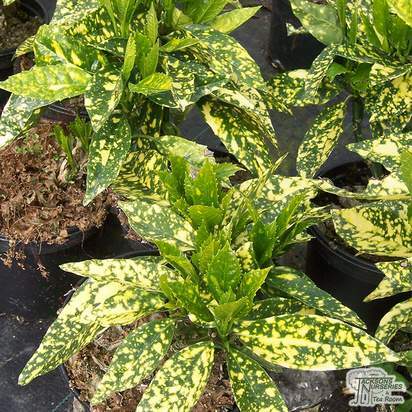 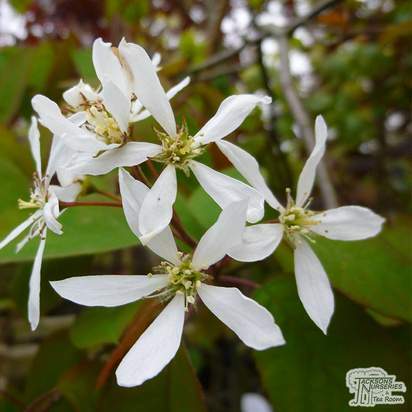 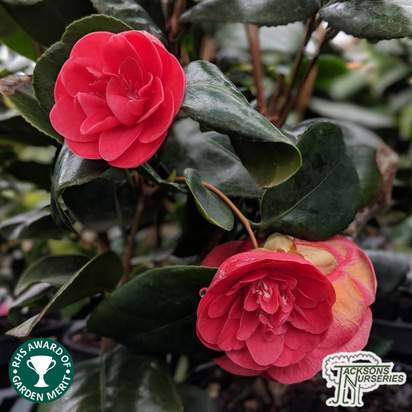 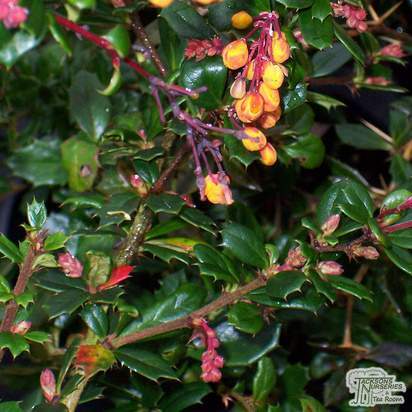 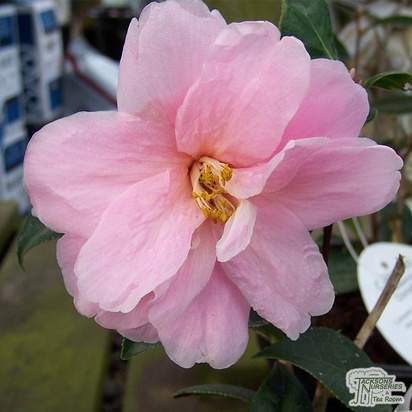 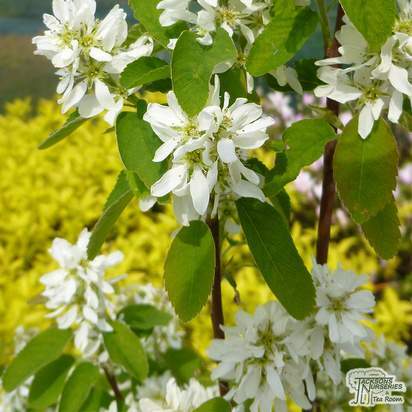 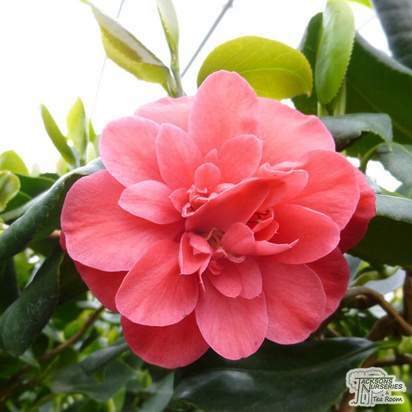 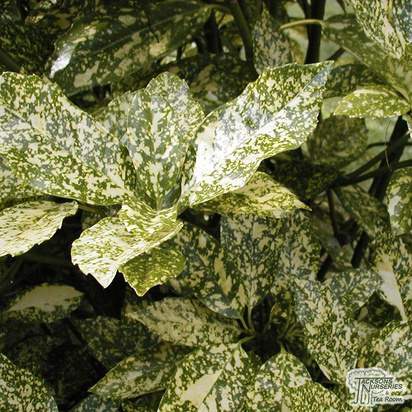 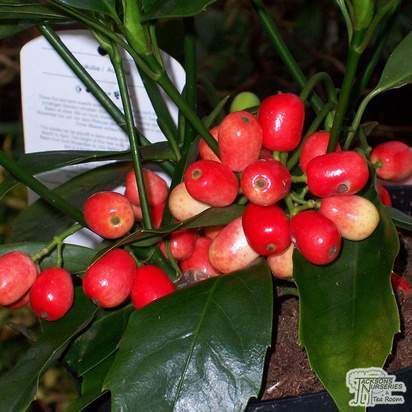 An evergreen, compact shrub with glossy, broad dark green leaves. 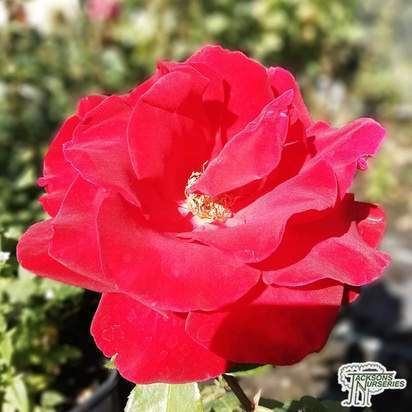 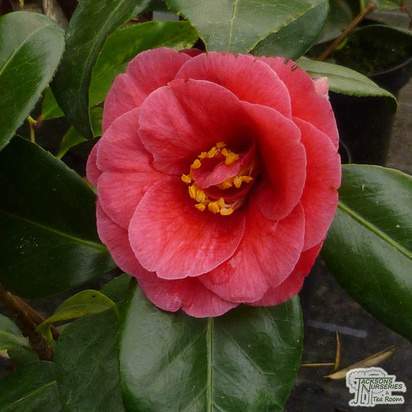 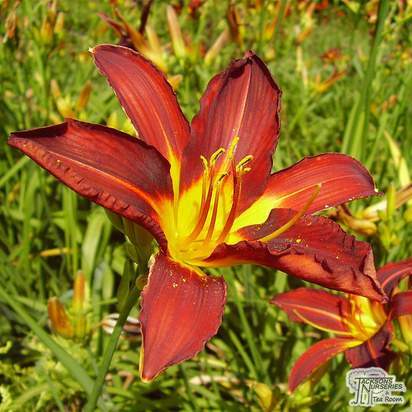 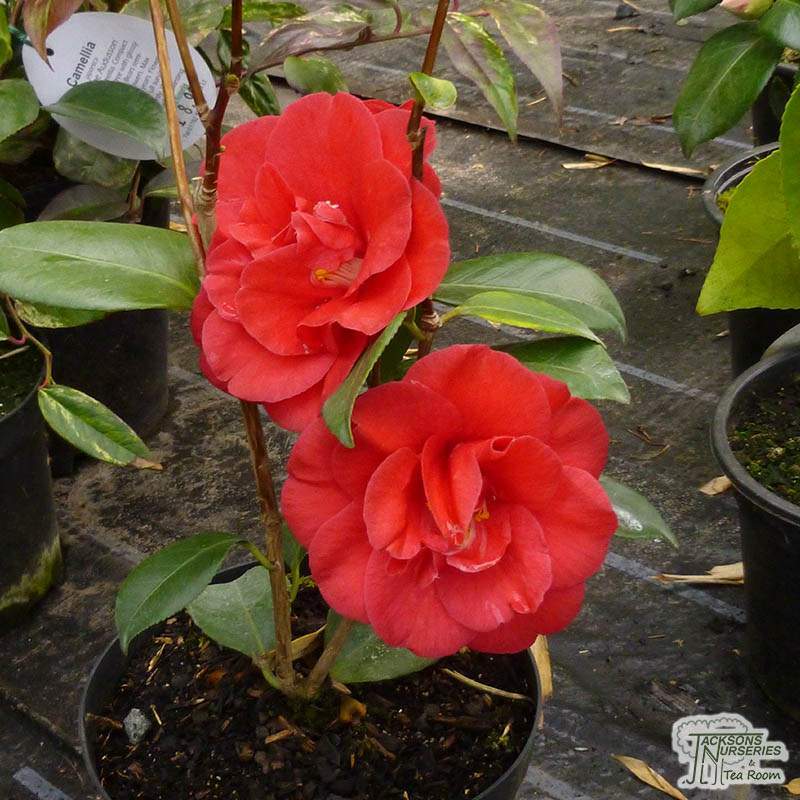 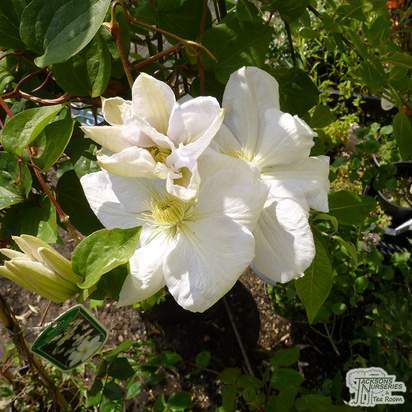 It bears large, outstanding saucer-shaped, semi-double dark red flowers with prominent yellow stamens. 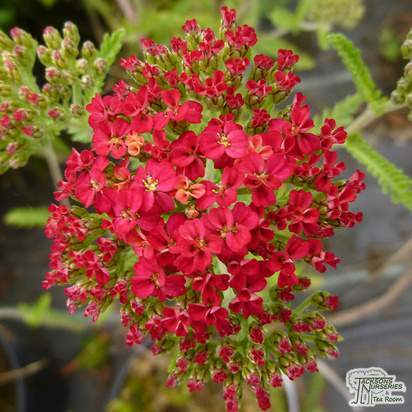 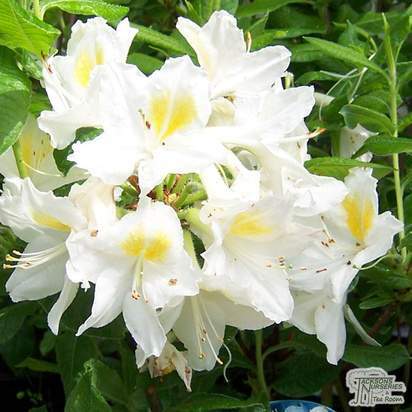 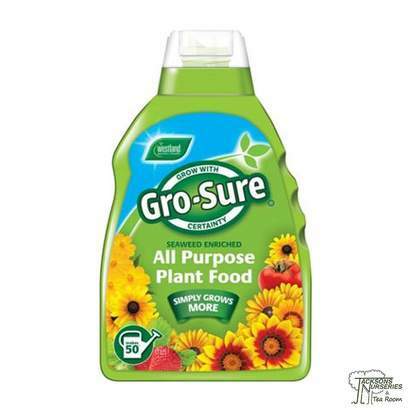 Ideal for tubs or borders.